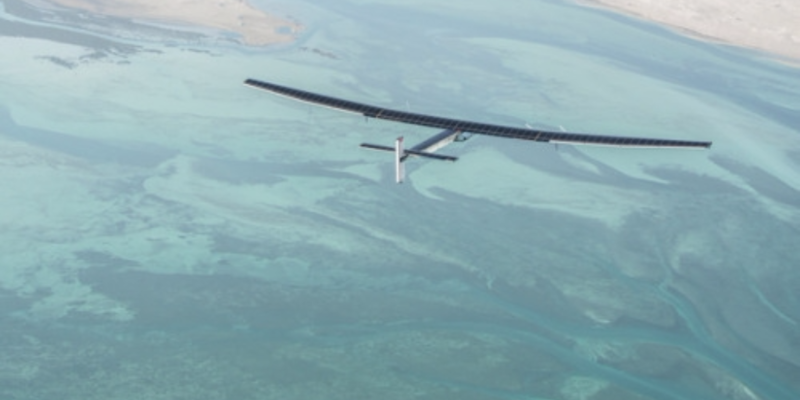 Solar Impulse 2, the solar-powered plane flying around the world on zero fuel and with zero emissions, left Cairo in the early hours of Sunday for Abu Dhabi to conclude its tour around the globe. Although the final leg of the world tour was scheduled to begin on July 16, pilots André Borschberg and Bertrand Piccard announced they had decided to postpone the flight due to weather issues and the fact that Piccard fell ill while in Cairo. The plane had landed in the Egyptian capital on July 13 after a 50-hour flight from Seville, Spain that passed through Italian, Greek, Tunisian and Algerian airspaces. Prior to landing in Seville, the plane flew across the Atlantic Ocean after taking off from New York. The transatlantic flight took 71 hours to complete at an average speed of 76.7 kilometers per hour. Since its inaugural flight, Solar Impulse 2 has completed 16 legs of the tour and landed in countries such as India, China, Japan, Hawaii and Spain, among others. To find out more about Solar Impulse and the idea behind the clean technology plane, take a look at the plane’s blog here.